I have raised a seedling from Tibetana "Black Tibet" which has an unusual stem irregularity. At every node where a branch would normally grow at either side of the main stem, there is one branch but the main stem continues from where the other branch should grow. 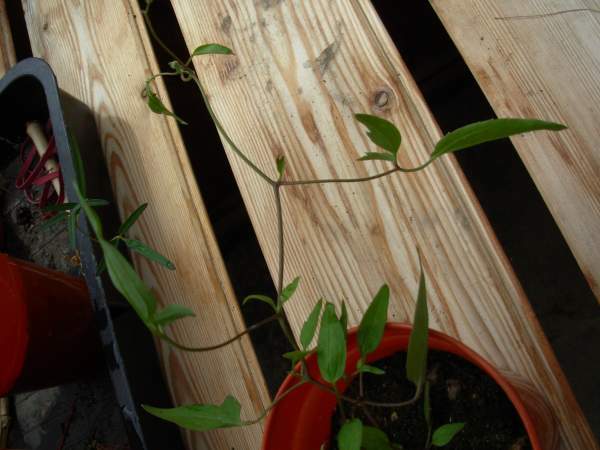 This is repeated at every subsequent node but the order is reversed so at the next node the main stem grows on the left side and the branch on the right and so on, so the plant does balance itself. Is this completely unusual or is it not uncommon for the occasional seedling to develop in this way? I think I saw this characteristic on a young seedling but it only did it the once and carried on growing normaly after that point. My bets are it will probably grow out of it once it gets more established.